Many items that are used in homes and offices could be recycled but are discarded and end up in landfills, which are already limited in space. By participating in our recycling programs, you can save valuable space in landfills and at the same time generate proceeds that will directly benefit the Zoo’s wildlife conservation efforts and our animal enrichment program. These recycling programs generate cash for the Zoo. By participating, you provide a great benefit to the environment and to the animals at the Fort Worth Zoo! The Fort Worth Zoo has a proven commitment to wildlife conservation in Texas and worldwide. We support projects in more than 30 countries and promote conservation efforts for a variety of species ranging from elephants and rhinos to iguanas and toads. Our animal enrichment program encompasses the behavioral needs of the animals in our collection. Our program is designed to provide our animals with opportunities to express natural, species-appropriate behaviors, whether it be foraging, exploring, playing, or simply resting comfortably. We accomplish this by providing variety within our animals’ environments each day, by offering new food items, objects, nest materials, scents and by conducting training sessions. Visit CartridgesforKids.com to enroll your business and list the Fort Worth Zoo as the organization your business wishes to sponsor. Then, simply collect items accepted by the program and follow the shipping guidelines to request a free shipping label and mail your box. Please do not bring recyclables directly to the Zoo; we appreciate your participation in the program! 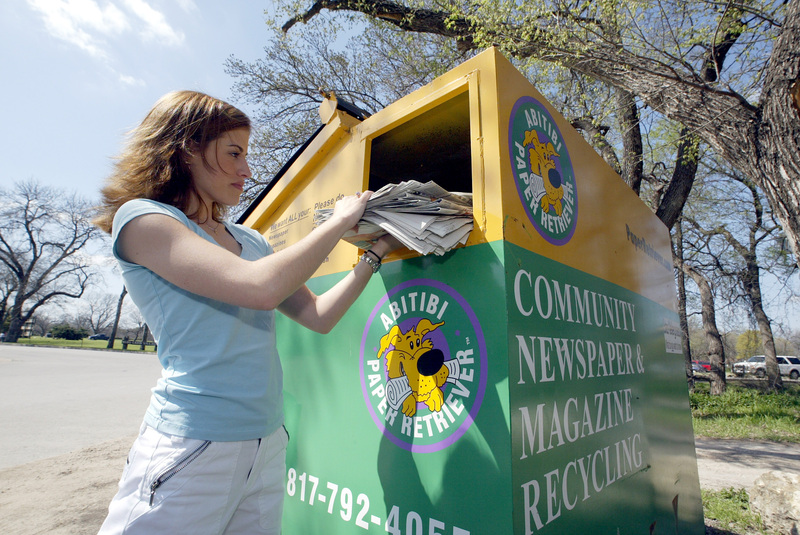 The Zoo has a paper recycling program in place through Moore Disposal, which includes all paper-based products (newspaper, magazines, catalogs, etc.) that are free of food waste and contaminates (no wax paper or wax cardboard please!). Click here for a full list of acceptable paper products you can recycle. You can deposit paper items in the green and yellow recycling bin located at the south side of the parking lot on University and Colonial Parkway.